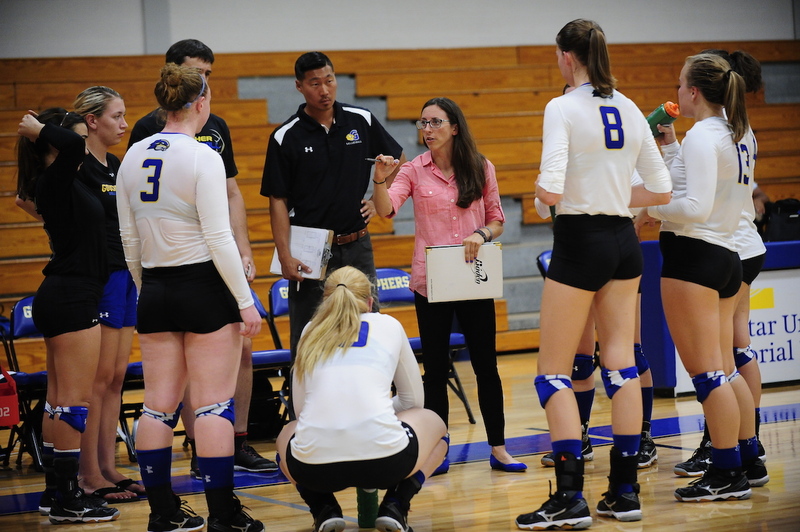 Head Coach Kait Kozak is heading into her second season at the helm of the Goucher College women’s volleyball program. Kozak entered her first year with the Gophers with an impressive track record of building winning teams. 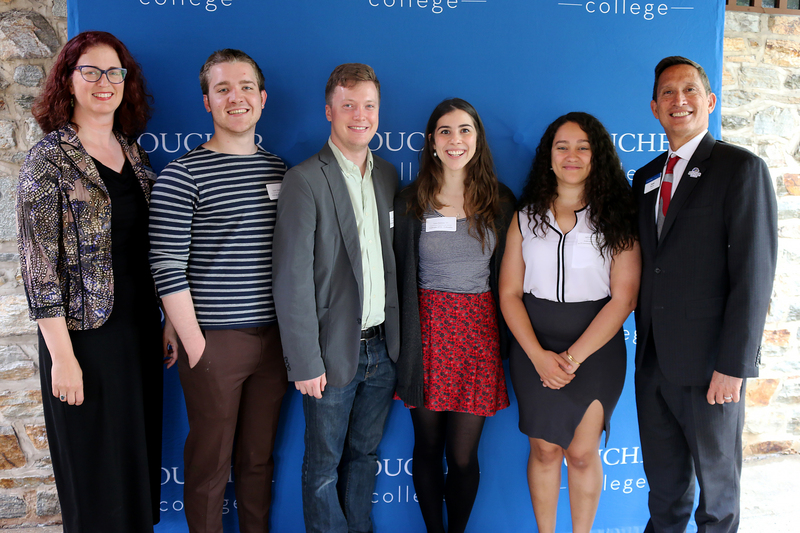 She comes to Goucher after five years as an assistant coach with the U.S. Naval Academy alongside head coach Larry Bock—the winningest coach in NCAA volleyball history. While working with the Naval Academy program, Kozak was the first assistant and had a hand in all aspects of day-to-day operations, including recruiting, player development, strength and conditioning, marketing, alumni relations, and other administrative duties. In five years at Navy, Kozak helped turn around the Midshipmen program from a six-win team in 2011 into a Patriot League Championship finalist in 2014. That year, Navy tallied an 11-5 record in conference play, posting their first winning season since 2008. Kozak also showed the ability to get the most out of her players, helping guide individuals to five All-Patriot league honors. She coached a pair of All-Conference honorees in 2012, marking the first the school had seen since 2005. Prior to her time with Navy, Kozak spent her first stint head coaching with Western New England University. In just her first season at the helm of the Golden Bears, Kozak improved the team’s record by nine games, tallying a program-best regular season mark of 26-9 in 2009. She led the Golden Bears to the Commonwealth Coast Conference (CCC) Tournament Championship final that season, before leading Western New England to the Eastern College Athletic Conference DIII New England Regional Championships. In turn, Kozak was named the CCC Coach of the Year. In two seasons with the Golden Bears, a total of nine athletes under Kozak’s direction were named All-Conference selections, including 2009 Libero of the Year Marci Egbert. A four-year letter winner and team captain, Kozak earned a bachelor of science degree from the University of Miami in sport administration in 2006, before going on to earn a masters of education in counseling psychology and student personnel administration from Springfield College in 2008. Following her time at Springfield, she worked at the University of Oregon where she served as the student-athlete coordinator, specializing in career development, community service management, and leadership development. While at Oregon, the NCAA honored the program with the National NCAA SAAC Award.